I’ve started from the early versions of GSX and Workstation 5. Back then when all the virtualization stuff was new I felt that this is a game changer. At first, it was just for fun but later it helped me a lot during my career. Personal achievement and career opportunities. 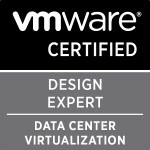 When I started to be more active in the vCommunity and saw all the other VCDXs getting recognition and becoming “virtualization smarter”, I just knew I wanted that. From the first VCAP cert which was DCA until now, it took 3.5 years. The VCDX process itself took me around 2 years. I have a few advises but if I can minimize it to two it will leave your ego outside the door and the second one is you should truly be honest with yourself and don’t be afraid to learn from your peers. Generally speaking, I wouldn’t change anything except of my time management in the preparation for the first defence. I wrote an entire post just on this topic alone. Well, since I am working for Microsoft know when really cares about it 🙂 . No one really knew what it’s like to be on your VCDX journey. It was worth it big time. It is a great feeling to know you didn’t break under the entire thing. I am excited to see how this can be leveraged. Categories: VCAP, VCDX, Virtualisation | Tags: VCDX, VCDX Spotlight, VMware | Permalink.